Never posted any Ramones... so it's about time (especially considering the previous post... the Apocalypse Babys and their Ramones fixation! No single comment for this lot by the way... well...)! The B Side is excellent too. All in all you'll get a slow, a mid-tempo and a speed tune... all three bloody good... so no reason to complain! Being the hard-working sod that I'm not,I watched End Of The Centuary again this afternoon. 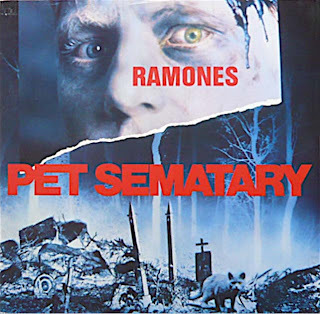 I've always liked this one....then again I can't think of any Ramones I dislike. This is a great Ramones post! I had forgot this was a single release, and the mighty Zero Zero U-F-O...U-F-O on it too, Churz! Yeah Zero Zero UFO is quite fab!!! Will check your blog asap.